Our electric bill has surged to an additional P20,000. Meanwhile, a gang of robbers looted a jewelry store. As they were called The Martilyo Gang, our sharp-witted government came up with a solution: “henceforth, the sale of all hammers shall be prohibited in department stores.” Rewind to 40 days ago, thousands were clamoring for bread, and no help came. Why? Government performed the tragedy of Romeo and Juliet, or West Side Story’s Jets and Sharks. Feuding families and rivals do not help each other. Even if out in the streets, lovers are drinking to their death or killing one another. The country’s Executive Department paralyzed amidst thousands of unidentified dead. Oh wait, do not bungle the body count. We suppress that, sack the tattling Chief of Police instead. Backtrack a little and you find our Chief Executive inviting the country’s most wanted to the Palace for tea and surrender. And previously, dangling a million or two of his pork to maneuver statesmen to his side (oh wait, it’s not pork but the “Disbursement Acceleration Program.”) And statesmen! You’d probably recognize them squabbling over dole outs on reality TV and earning brownie points in aid of legislation. You get the government you deserve. Our Constitution states, we, the sovereign Filipino people, gave government authority to watch over us and protect us from ourselves. But what happens when those you have clothed with authority quite suddenly lose their heads? Become non compos mentis. Or get to be so intoxicated with the power you bequeathed, they turn against you. Yes, against you, the one who installed them up the high mountain and lent them the keys. You, the chief, the boss, the sovereign Filipino people. 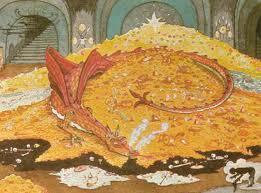 And now they wear the crown, change the locks, and anoint a clever dragon to keep you from your treasure. In fact, there’s no desire to return the keys. Ever. And so, a huge slab of your gold will be disbursed on the barrel to kinsmen, knights and vassals, so they fortify the name, be allied, and keep the gates closed. In the meantime, the populace is clamoring for bread. And you have nothing else to do except be sorry and damned you picked the wrong man. Under the law of agency, you could pull out the agent on the basis of mistrust, self-dealing or that he has gone mad. But it’s not as easy renouncing an installed king, with his knights and a dragon at the gate. You need millions on the streets with nuns who carry rosary beads and flowers. You need a long-winded impeachment trial where the king is tried by his knights. And even after placing them behind bars, you’ll have them seeking a reprieve, your hospitals looking after prisoners, or the next king granting a pardon. And it’s a travesty of democracy all over again. But that happens when you don’t mind the tremendous power of a sovereign. The electric bill surge, the imbecile security measure, the warring sides, the aloof Chief and our decrepit statesmen. That was your power, handed over, without limits and bounds, and creating madness. It was that lone vote you gave away, for bread, for the popular choice, for being swayed by the winnable candidate. And I am venturing to turn this around. A revolution. Except it’s not outside in the streets with rosaries and flowers. And it is not within courtrooms and the halls of Congress either. We have to be masters of our sovereignty. Learn to command the power we have in our hands. And we need to find the true king who can wield it too. This turning around is a revolution of hearts and minds. But we must begin now. Not in three years, not when the campaign begins and the circus comes to town, and not just when we are angry. There’s a kink in the dragon’s armor. We either embolden him with gold and fire, or find his vulnerability and tame him. But we need to study his moves. Be sharp and discerning. Pluck up courage so plain folk could venture out of their holes. Train. We cannot crown another thief or a fool; position a dragon that keeps us from our gold; or even hand over our keys to the intoxicated and non-compos mentis. So begin now. amen, lets not let this time come to pass. lets not let this tragedy be in vain.